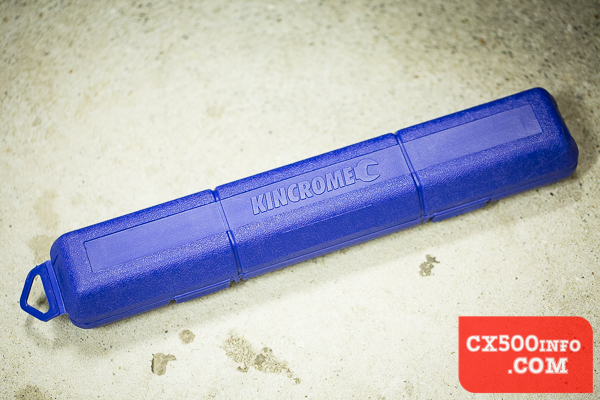 Today I am reviewing a Kincrome K8031 deflecting beam torque wrench (eBay AU). 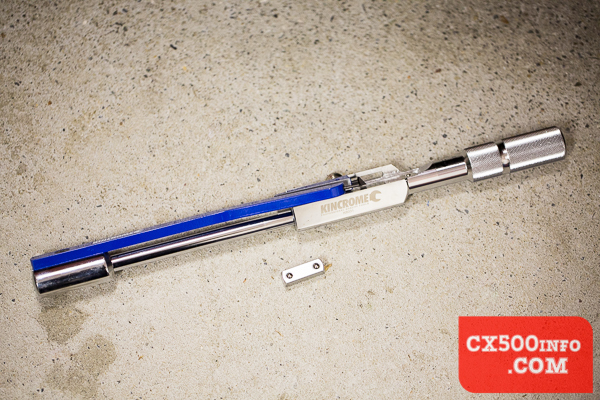 A torque wrench is an indispensible tool for your mechanical work, particularly for those who are just starting out. 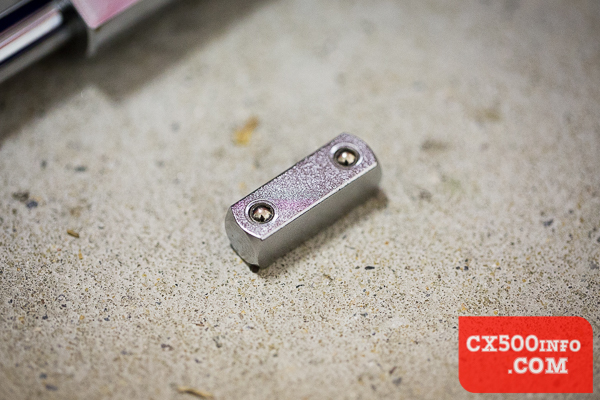 While you can get away without one for many screws and bolts you'll definitely need one for head bolts and some others. It's also a good way of learning just how tight things should be; you might be surprised at how little torque the fasteners going into soft aluminium engine parts require. Torque wrench, 3/8" adapter, instruction manual and that's it. 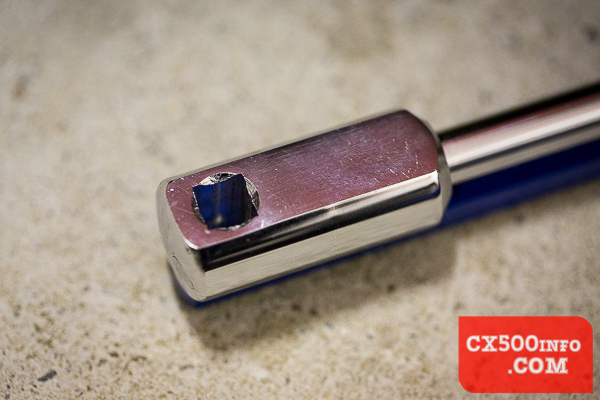 It's a good idea to keep the case around as looking after your torque wrenches is a worthwhile habit to develop. Stepping back for a wider view, we can see the business bit of a deflecting beam torque wrench - the deflecting beam mechanism. How does it work? In a nutshell it's a bar of metal which bends a certain distance at a certain torque value. Install a socket, apply torque to a bolt and you will both see and hear the black pin click back out once you reach the torque value. This type of mechanism has significant advantages over the older beam-type torque wrench as the audible indicator is useful when working at an angle where you can't see the torque wrench, and an advantage over the click-type micrometer wrenches in that if it's a noisy environment you have a visual indicator as well as the audible one. At ~$165-$220 (on eBay ) it's not a cheap torque wrench, particularly when compared to the lower-end click-type micrometer torque wrenches. 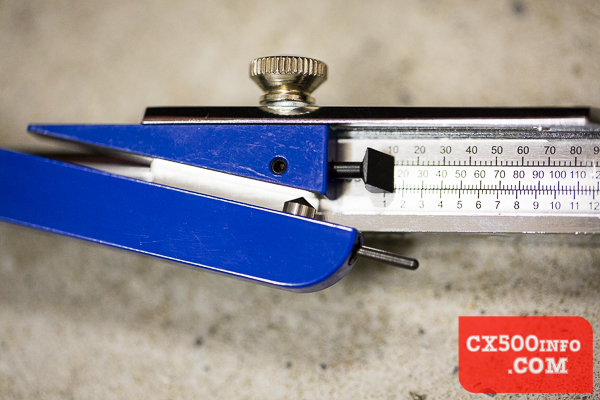 There are a few reasons to choose a deflecting beam torque wrench over the micrometer style; apart from the dual-signal indicator mentioned above, you aren't reliant on a spring to maintain correct torque readings. Micrometer style torque wrenches use a coil spring to apply resistance, which can stretch over time - particularly if left unused or stored with a high torque setting still applied - and then give innacurate readings. The deflecting beam style torque wrenches have no tension applied when not actively being used, and thus you never need to worry about forgetting to return the torque setting to a safe-for-storage value. 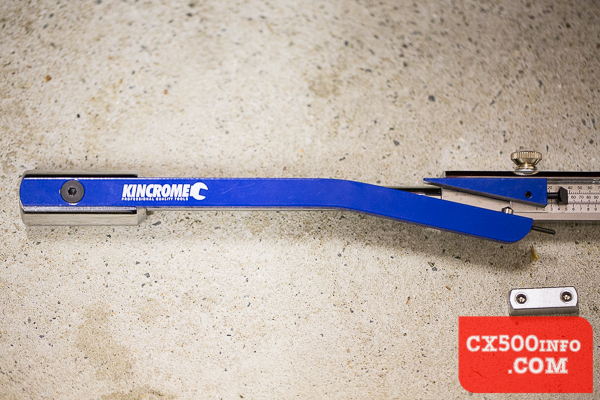 You can pick up a Kincrome MTW80F - a 3/8" micrometer torque wrench - for around $80, so there's a notable price difference. 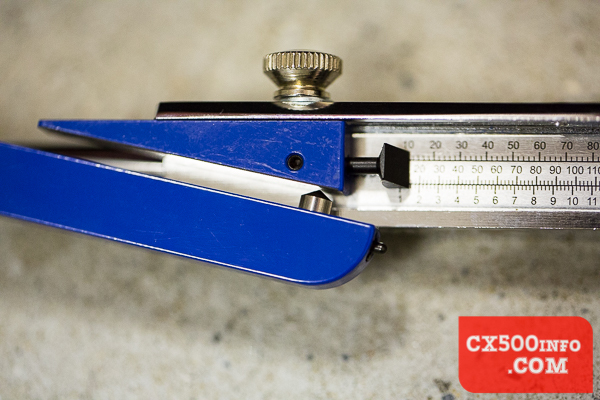 If you intend on keeping your torque wrench for many years we feel that the additional expense of a deflecting beam torque wrench is worth it, given that it's less likely to fall out of calibration over time. 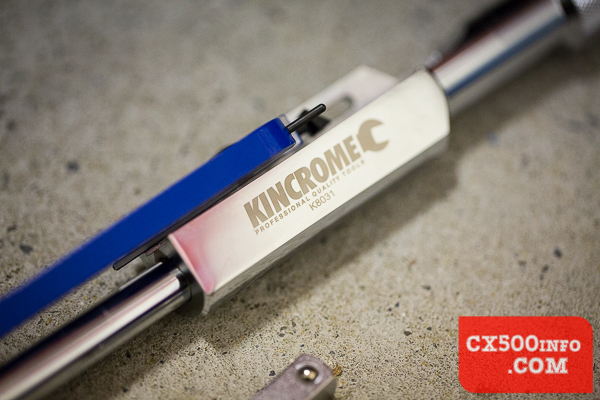 The Kincrome K8031 provides a torque range of 10 to 90 ft/lbs (or 10-120NM, if you prefer NM) and has a stated accuracy of 4%. If you need higher accuracy Warren & Brown make extremely nice deflecting beam torque wrenches (they actually invented them) with 2% accuracy (see here for prices), however 4% is likely sufficient for most home users and enthusiasts. The K8031's torque range is well suited for most automotive work - from head bolts to engine cover bolts and the like - and 3/8" square drive means that you're likely to find a set of sockets to suit most screws and bolts you encounter (e.g. 8mm-19mm) without too much difficulty. 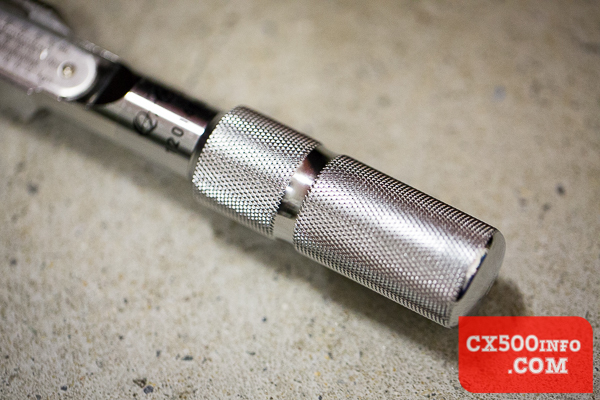 If you had to have only one torque wrench, 3/8" would probably be a good choice accordingly. 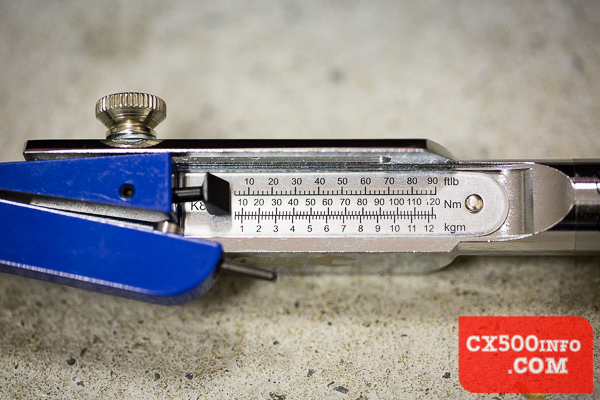 Most deflecting beam type torque wrenches can only measure torque in one direction - tightening - whereas some micrometer type torque wrenches can provide measurements both ways. This isn't a significant disadvantage for most applications, though if you do have some left handed threads in your vehicle which need to be torqued to a specific value you may wish to consider another type unless you want to have multiple wrenches, or borrow one. Overall? 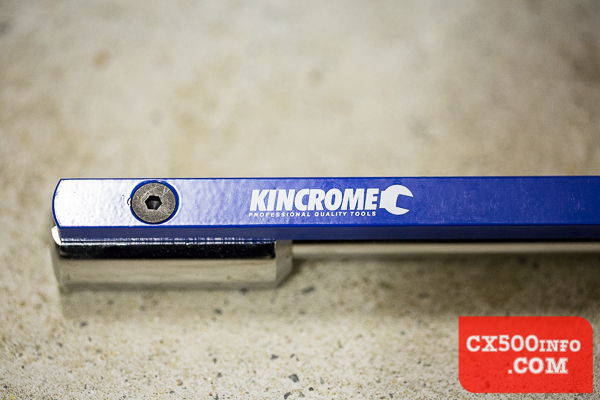 We feel that the Kincrome K8031 provides good value for a quality torque wrench, and is well worth considering over an equivalent range micrometer type if you're intending on keeping it for a number of years. 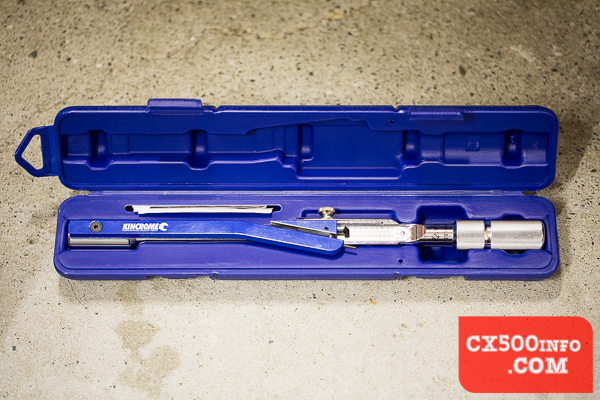 In our opinion every automotive enthusiast should have at least one torque wrench in their kit - particularly those who are just starting out and haven't developed a "feel" for how tight bolts should typically be - and this would be a good choice to start out with. Find one on eBay AU.